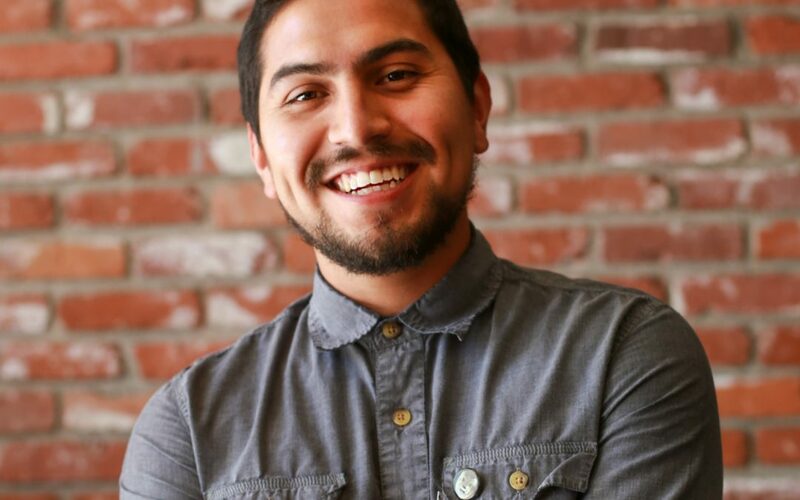 Edgar Arellano is the newest member of the SAAS family. He is this year’s Bicycle Safety Campaign coordinator and will be leading efforts in our Luces Vivas! bike light giveaway events, Bicycle Safety skills classes, and bicycle/pedestrian community events. Edgar has been growing in Orange County for 27 years. He and his family have roots in Guerrero, Mexico, specifically Tierra Caliente. In 2013, he earned his bachelor’s degree in Political Science and Urban Studies from California State University, Long Beach. During his studies, he mentored students at Rosie the Riveter Charter School, helped the Chestnut Garden maintain their community garden and presented to the City of Oakland’s Housing Authority when completing the City Planning, IN[CITY], program at UCBerkeley. People power and a trusty bicycle included. In all, through recreation and commuting, Edgar has ridden more than 3 thousand miles on his bicycle. He’s also traveled throughout the United States, Costa Rica and Mexico, and has summited at least 10 peaks. “I want to listen well to the solutions applied elsewhere, to understand the limitations of my ideas and solutions,” said Arellano. “That way I can continue learning all my life.